This week, anecdotes around the production of this mind-boggling cinemagraph by Gerardo Juarez. gallereplay: This is definitely one of those cinemagraphs that makes you think ‘Wow, how did they do that?’ Tell us a little about the creation process. Gerardo: This cinemagraph was a lot of work! We had to repeat the trick more than 10 times and shoot at 60 frames per second (a high speed), so we could cut out the skateboard pixel by pixel in post-production and create a 360 degree turn. gallereplay: Sounds like a meticulous process! And what were the challenges on location? Gerardo: Well, the local police complicated matters a bit acutally. 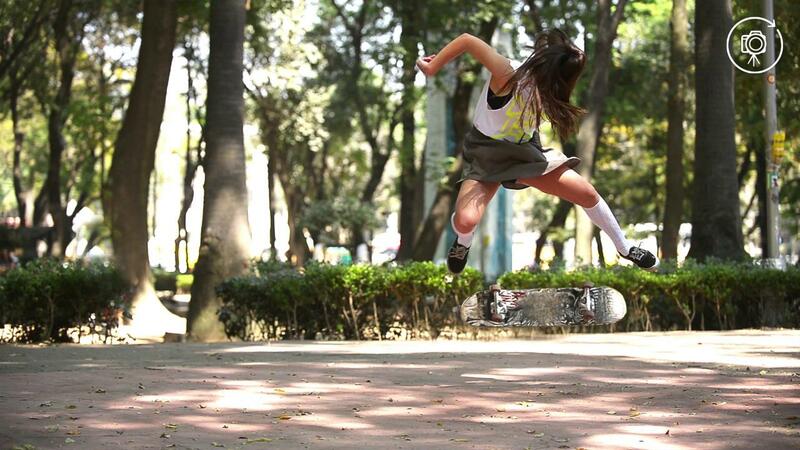 The shot was taken in a park called “Parque México” in México City, where people are not allowed to skate in certain areas. I had to ask my assistants to “keep guard” so the police wouldn’t make us change location, and we could finish the shoot in peace. Check out Gerardo’s profile for more of his cinemagraphs.